Building a business : The Library On Cart case study : Chapter 8 Are thoughts visible or invisible? Whatever the world may say, the truth is, they’re visible :0 You have been taught wrong 🙂 The world around you is someone’s thoughts made visible. 6 April we return to Delhi and our invisible, intangible thoughts begin their journey to becoming visible, tangible, viewable reality. By 13th we’ve finalized the name. Got the domain name. Concrete work begins. It’s all very easy. It’s not stretching anyone. We all are in our comfort zone. We joke. We laugh. We argue. There’s just no contact number! We want to meet. We intend buying the whole lot in little less than a lakh. We must keep some money for cart. Then salary. Then reserve. Finally Anubhav manages to trace his number somehow. We’re losing time. We call for a meeting and reach East Delhi at 8:30 in the night. Wrong time but what to do. We talk. Make our offer. He refuses. I’m crestfallen. Where will we get selected library 8500 books in one go? He says they may not be 8500. We plead, try, raise our budget to 1.2 to no avail. It’s going to take days ! We return. We’ve no books. No cart. We plan going to Daryaganj to buy second hand books this Sunday. We’re running short of time now. For some reason Anubhav takes a work from home with a call at 3. I reach Laxmi Nagar. It’s 10:45 already. I stay for 5 minutes. Catch the metro back. Anubhav picks me from Kirti Nagar metro station and we reach God forsaken part of the world and voilà there are our books. We trust the container man and take what’s on offer. The cart is procured from Jama Masjid on 25th I think. We go for the cheapest one we can get. Order tubeless tyres for we don’t want issues. 3 lakhs has to last us 2 years! A man has to be located to man the cart and paid for one year. We’re not closing before one year, need to conserve resources. We intend opening on 1st May. Schools closing 10th so want to test all tech before. The cart reaches Prasoon’s contact. He’ll do the fittings. Simple. Not much effort required. Anyone could have succeeded. Abhi toh party shuru hui hain ? I’m not religious per se. I know and practice very few rituals. At one stage I was an atheist. Before marriage I was very sure what was right what was wrong. However after marriage I started questioning what is right what is wrong. Is it right to not give dowry/ help ? How to solve the problem purely from an economic point of view? To me dowry became an economic problem rather than a social issue. Then motherhood ! The world became all shades of grey. There was just no black and white. It was all personal perspective. 9 pm. 13 year old daughter. Boys are still playing. Can I play outside? Should I say Yes. She’ll believe she’s on par with the boys. I’ll not limit her mind with fear and discrimination. Should I say no? Will she be able to handle being different. The only one with permission to be outside with boys at 9. Not another girl in sight. By default different ! What’s right? What is wrong? I’m coding their minds ! And I’ve no idea what is right? I’m holding their destiny in my hands ! It’s very difficult to detach yourself from yourself and see your own thought processes, the limitations of your personality, your fears, your conditioning and how they don’t allow you to do so many things. What ..is..right? I’ve no idea. God, with my current wisdom, This is what you have shown me, this is what I am doing. Tomorrow if I’m wiser I’ll take another decision. But today this is what I think should be done. You’re responsible for all right and all wrong decisions and for all results. Then Wrapd Lajpat Nagar happens. We do very well. Brilliantly. I’m not saving any money but cash is flowing freely. He doesn’t call for 3 years! And …. Ok God here I come. I’m keeping my side of the bargain you please keep yours. Ok ! I reach Hyderabad where my sister, Ritu, stays. She runs the Wrapd Hyderabad branch. Nandini, my niece, starts talking about her childhood dream of opening a library. She shows me her catalogue. The business cards we had gifted her of her library. Hardbound. It was her library’s name. She had thought of it. All this at age… 10? Ritu and Anubhav don’t realize the social implications of sitting at a thela :0. Do I want to harm them ? No. But going beyond the need of society approval is the price to be paid for success. If you want to be successful, pay the price. There’s no other way. Success demands it’s price. A commitment of not giving up for 2 years is taken from Ritu, Anubhav. I know we’re going to make it before that 🙂 Capital commitment 1 lakh each. No more. This is all we’ll afford for 2 years. Rest business has to generate. If not, our ideas and resourcefulness has to do it. Wrapd decides to open library on cart. Both Delhi and Hyderabad branches. Will I be able to deliver the responsibility of their trust? I get a call from a friend. Her sister had gone into depression. She’s OK now but needs to get out of the house, keep busy to avoid the depression trap. She’s not trained for a job. Loves clothes. Can we employ her in some way? Salary is not a concern. It always is. At least some bare minimum. Further we’re in lean season now. There’s no work till August. What will we do with another person! We say yes 🙂 If it can help, help. Anubhav, he of blind faith 🙂 , says yes. We work on a module. We again need space. Rent is again a problem. He doesn’t offer his. Can he? His father owns the house and hence the rights. Did he even think of this option :0 How could he propose if hadn’t even thought about it ! I’ve already gifted my house to Wrapd. The price success extracts ? I’m traveling to work and look at all these food thelas (carts) and why not a library on cart. I start imagining a library on cart. The idea appeals. The more I think the more viable it starts becoming. I am intrigued and propose the idea to Anubhav. He of blind faith 🙂 , says yes. We work on a module. We don’t need space. Problem solved ? Except who’ll cart and manage the cart. Yours truly offers her services. Nobody believes I’m serious. We joke about it. Where’s the Wrapd owner? I want a meeting. Sir please go to the thela outside. The owner is the person sitting running the thela ?? Anubhav and I start designing tech connected carts, a library spread all over Delhi but all interconnected. Payment by credit card, payTM , etc etc. A very cool place indeed. It can be our marketing strategy ?? ?We can control Wrapd ad pasting, flyer distribution from here. Wrapd will not spend money on marketing, Wrapd will earn through its marketing strategy ?? We joke, we laugh, we dream. We don’t do one concrete thing. Eloor library announces closure. I shed tears. Copious tears. It’s not a figure of speech it’s literally…. I ..Shed…Tears. I’m so upset. After so much of difficulty I had found a library which was lending almost current books and now it was closing! My house was 20 kms from Eloor yet I was a member. Such was my need. And it was closing! I invite people to start a library but no one believes in it. My hands are full with Wrapd. I can’t afford full time and renting a shop is idea killing in Delhi. I need space. I see my friends with beautifully done up drawing rooms…… lying vacant. Hardly used. I see my friends with beautiful stretches of time on their hands which they’re trying to fill with shopping, luncheon and TV and invite them to open a library with me but no one believes me. I can see space and time but I can not harness them. It’s not cool to do this you see ? I move on with Wrapd. I keep searching for a library. I find none. I start buying books again. I want to read more. I can’t. Although I have the money I don’t want to spare so much money or space to store books. Wrapd, rent a party dress, was born when being an entrepreneur was so gauche. So unenviable ? Today being an entrepreneur is the ticket to being cool. Everyone is one or thinking of being one. I see a new enterprise being born everyday and an old one die. People younger, smarter, more hard working, more intelligent, more gifted than me are falling by the wayside. I feel sorry. It’s heart breaking to see so much effort go waste. Failure hurts, hurts badly. So I thought why not pen the Library on cart story as it unfolds. So many trials and tribulations of Wrapd-rent a party dress, story have been forgotten that even if I write it, it’ll be an incomplete story. So here, for anyone interested in knowing how to build a successful business, is the Library on cart story. Are we successful? No. We’ve just started ? Therein lies the first requirement of building a business ? You’re delusional and optimistic ? Come, join us on this trek. The word has been chosen over journey, for journeys are comfortable, enjoyable, whereas building a business is more like a trek. Drawing on reserves of stamina, will power and sheer grit to go on till you reach your destination. The destination maybe a hill top, mountain peak or the unending coastline but the underlying connotation in a trek is always of a long journey testing the limitations of one’s body and mind. There are aching limbs, bone deep tiredness and the thrill you did it. That thrill is not of jumping up kinds. It’s falling to the ground in sheer exhaustion and looking at the wondrous sky above you ? So welcome aboard. Let’s start walking. 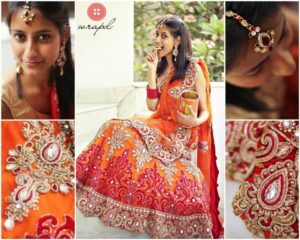 Why Every Bride-To-Be Should Consider Getting a Hot Bridal Lehenga on Rent? If you are going to be a bride this winter, then you have a really hard job ahead – After all, choosing the perfect wedding trousseau is not a simple thing to do! The major part of your wedding look is your lehenga and finding “the perfect lehenga” from a large display of incredible designs is quite challenging. Fret not, because you have landed at the right place and we are going to rescue you from the panic attacks of your wedding shopping! We at Wrapd make bridal wear shopping simple and affordable. Our designs are inspired by the hottest trends in the bridal market and our tailor masters strive hard to design a lehenga for your dream wedding. There are versatile ethnic designs for the quintessential Indian bride look & Western collection too for the brides having a unique taste for fusion. 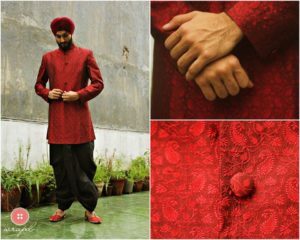 Make a perfect pick for your wedding, sangeet, reception and mehendi and our tailors will alter the dress to custom fit your body. Our expert team of fashion enthusiast selects exclusive designs straight from the runway and you get to rent lehenga for your D-day at reasonable prices. We extend our rental period to 3 days and would suggest ordering a lehenga on rent in advance to grab “the lehenga” for the most special event in your life. Renting a lehenga from Wrapd saves you the trouble of storing and caring for the dress, let alone lot of money you manage to save for a luxuriously romantic Honeymoon!! !